photo of Jeremy P. McGhee by opp creative. 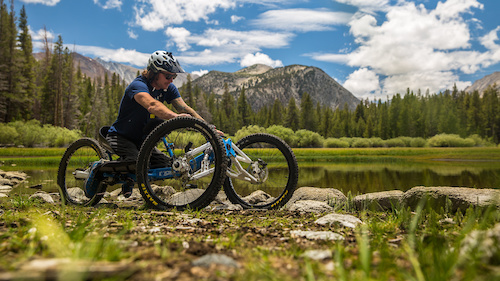 Adaptive mountain bikes such as trike bikes, hand bikes & wheelchair bikes for differently abled riders require a certain type of trail to be ridden. Trailforks is helping make it easier to find trails adaptive mountain bikers can ride with our aMTB trail filter. You can help classify trails as adaptive bike friendly by editing a trail and selecing "adaptive mountain bike" as one of the recommended bike types for that trail.